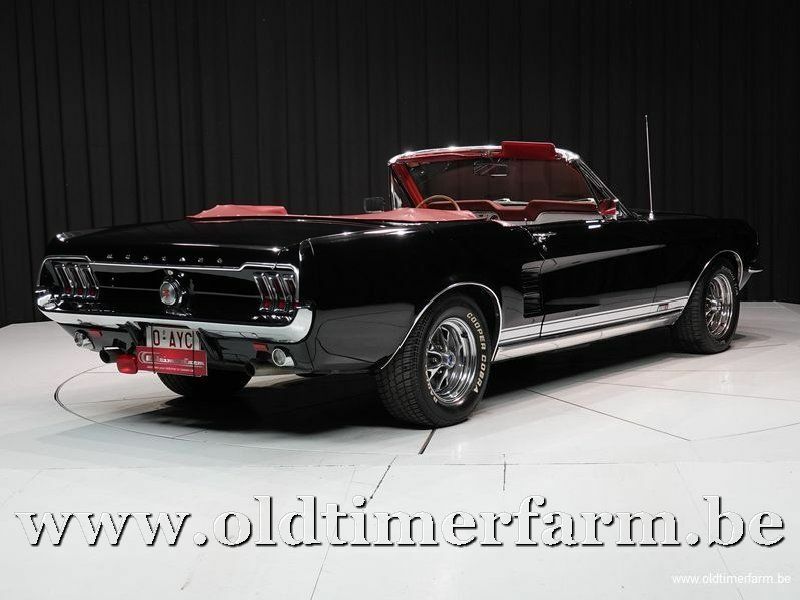 Mustang V8 Cabriolet 1967 GTA Code "S" 390ci. Beautiful car in good and running condition. Original American (San Jose) car. The car has a more powerful injection engine V8 5.0l from 1980 but originally it had the wanted 390ci. The engine that is now mounted makes it more quiet, reliable and maintenance-friendly. It has thus far served as a "traveler’s" oldtimer and has completed several long-distance journeys without significant problems. The meticulous maintenance might also have something to do with this. Normal prices for an S code are a multiple of the asking price here and besides the super investment it is also a car that is ready for the next season. The car comes with Belgian papers and a manual. As Lee Iacocca's assistant general manager and chief engineer, Donald N. Frey, was the head engineer for the Mustang project — supervising the development of the Mustang in a record 18 months — while Iacocca himself championed the project as Ford Division general manager. The Mustang prototype was a two-seat, mid-mounted engine roadster, styled in part by Phil Clark. The Mustang I was later remodeled as a four-seat car styled under the direction of Project Design Chief Joe Oros and his team of L. David Ash, Gale Halderman, and John Foster — in Ford's Lincoln–Mercury Division design studios, which produced the winning design in an intramural design contest instigated by Iacocca. To decrease development costs, the Mustang used chassis, suspension, and drivetrain components derived from the Ford Falcon and Fairlane. It used a unitized platform-type frame from the 1964 Falcon, and welded box-section side rails, including welded crossmembers. 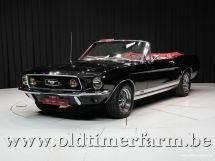 Although hardtop Mustangs accounted for the highest sales, durability problems with the new frame led to the engineering of a convertible first, which ensured adequate stiffness. Overall length of the Mustang and Falcon was identical, although the Mustang's wheelbase was slightly shorter. 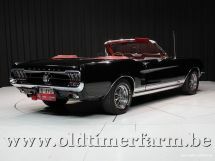 The design team had been given five goals for the design of the Mustang: it would seat four, have bucket seats and a floor mounted shifter, weigh no more than 2500 pounds and be no more than 180 inches in length, sell for less than $2500, and have multiple power, comfort and luxury options. 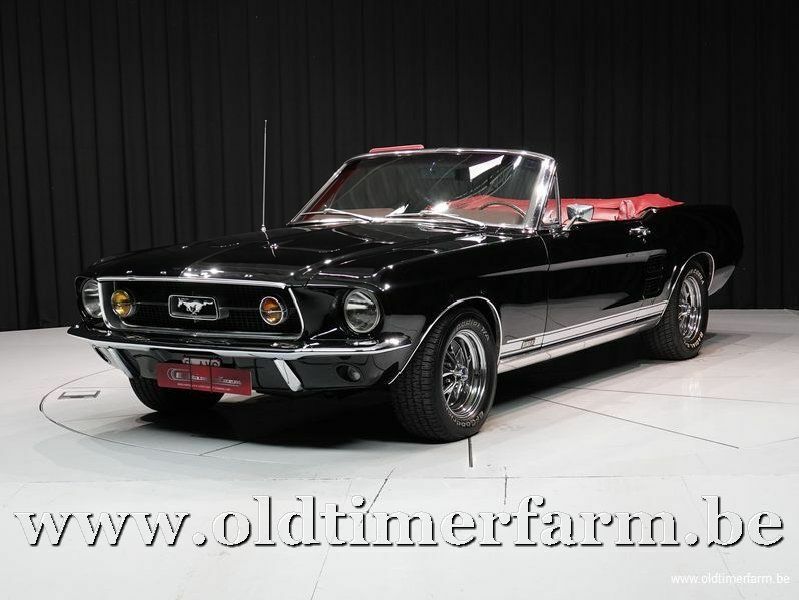 Since it was introduced five months before the normal start of the production year and manufactured among 1964 Ford Falcons and 1964 Mercury Comets, the earliest Mustangs are widely referred to as the 1964 model. A more accurate description is the "early 1965" model because it underwent significant changes at the beginning of the regular model year. All the early cars, however, were marketed by Ford as 1965 models. The low-end model hardtop used a 170 cu in (2.8 L) straight-6 engine and three-speed manual transmission and retailed for US$2,368.